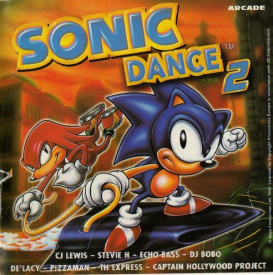 Sonic Dance 2 is a compilation album containing a variety of songs from various musicians popular in Europe at the time. Though branded with Sonic the Hedgehog art, none of the songs are based on any video game property. Just like its predecessor, the track list changed depending on the country it was released in, with four known variations. This page was last edited on 23 February 2019, at 23:05.